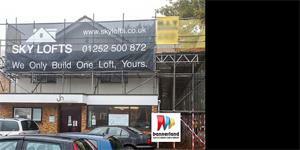 We receive a lot of questions from business owners about our mesh banners. They want information about the mesh material and ask us how large we are able to supply the banners at. In answer to these questions we are able to tell them we can make mesh banners at any size they require. We can even supply them at the size of a department store if so required. The mesh material makes this possible as it's full of tiny holes that allow the air to flow though them. This means there is less resistance in windy weather conditions. We only supply our mesh banners with tough reinforced webbing that in welded into the hems to strengthen them. Without this reinforcement they eyelets would just pull through the mesh resulting in damage to the banner. For more information about our mesh banners and other banner we supply, please visit our website.